This is a sponsored conversation written by me on behalf of Dunkin’ Donuts. The opinions and text are all mine. Coffee in the morning. Coffee in the evening. Coffee at… anytime. That’s pretty much my motto these days. 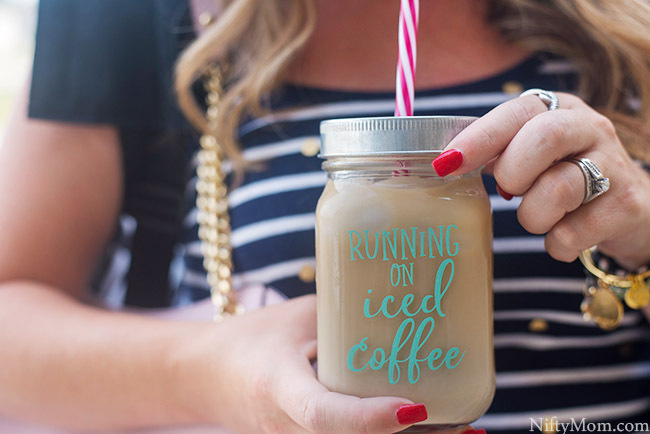 If you are like me and iced coffee is in your daily routine, grab this free design download for your iced coffee cup. We are halfway through summer break and I really thought this summer was going to be more relaxing. Wrong. Completely and utterly wrong. This was the first summer all three boys wanted to do different sports, cooking classes, activity camps, volunteering and everything else that sparked their interest. Top that with of my fitness classes, running goals, and all those everyday household duties and let the (organized) chaos ensue. It is literally non-stop. I am at one scheduled thing, trying to plan out the next few and how to juggle all the things. Honestly, at this point I don’t think I would be able to function any other way. It’s my norm. If I am not consistently moving and on the go, I don’t know what to do with myself. I feel like I am forgetting an appointment or something else. Each and every day I am running on pure energy and coffee. 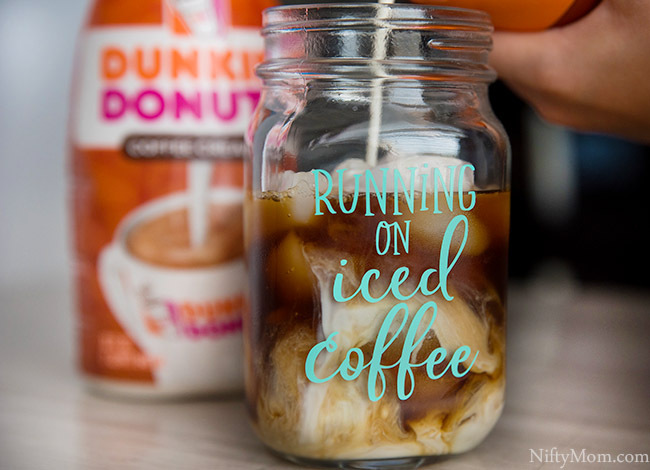 In the middle of these hot summer days, iced coffee is my go-to drink. 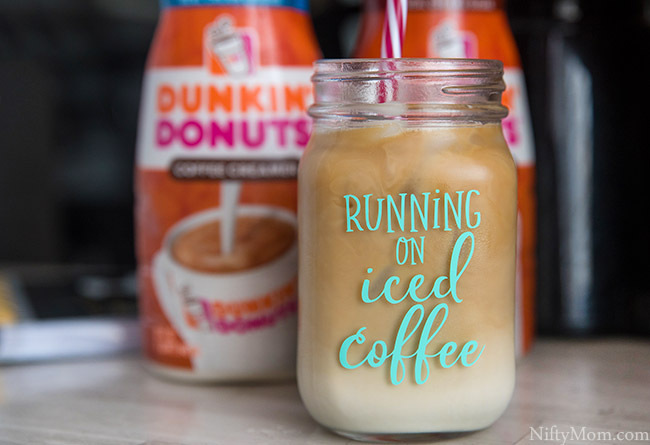 Refreshing and caffeinated, my iced coffee always needs extra creaminess with a rich creamer. 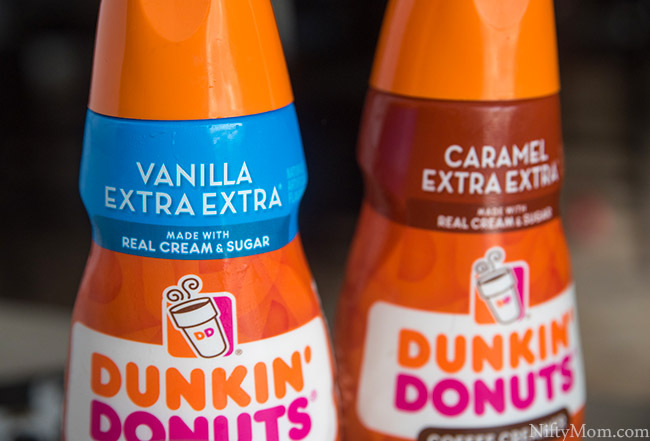 I use one of three Dunkin’ Donuts Extra Extra Creamers: Extra Extra, Vanilla Extra Extra, Caramel Extra Extra. They are all made with real sugar, milk and cream for a wonderfully rich and smooth taste. When I do have a little extra time between schedules, I dive into a DIY project. Last month I purchased a set of mason jar glasses that I have been using for my iced coffees. I decided to make a design for a few of them with vinyl. I created the design with my electric cutting software. If you have one, you can download the file here. Once the design is cut with an electric cutting machine, carefully remove the excess vinyl and transfer the vinyl cutout to contact paper. 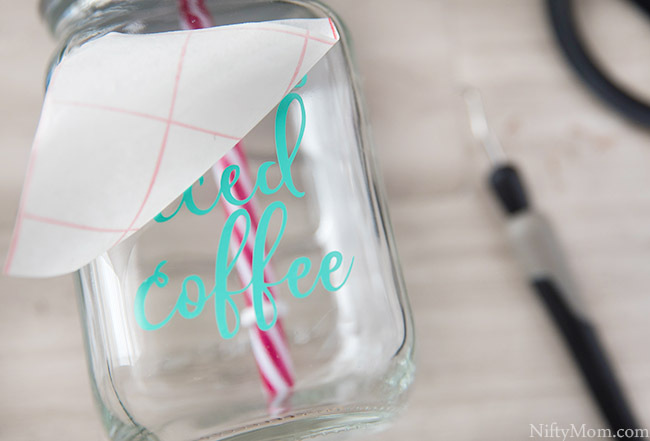 Rub the cutout design onto the glass or tumbler (centered), ensuring the letters are stuck and remove the contact paper. 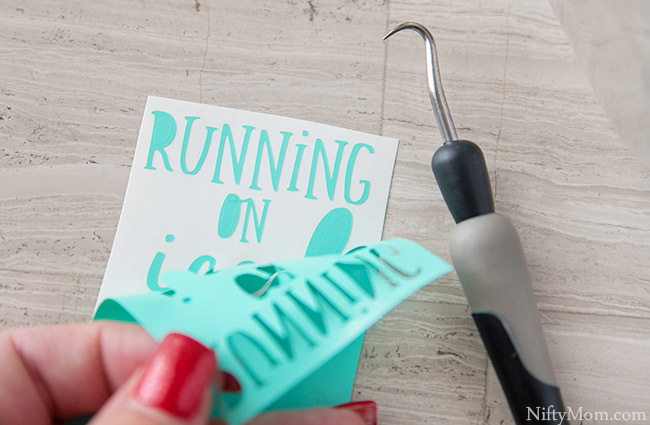 Don’t have an electric cutter? Pick up some permanent letter stickers to use. NOTE: Be sure to always hand wash the glass and/or tumbler once vinyl is added. 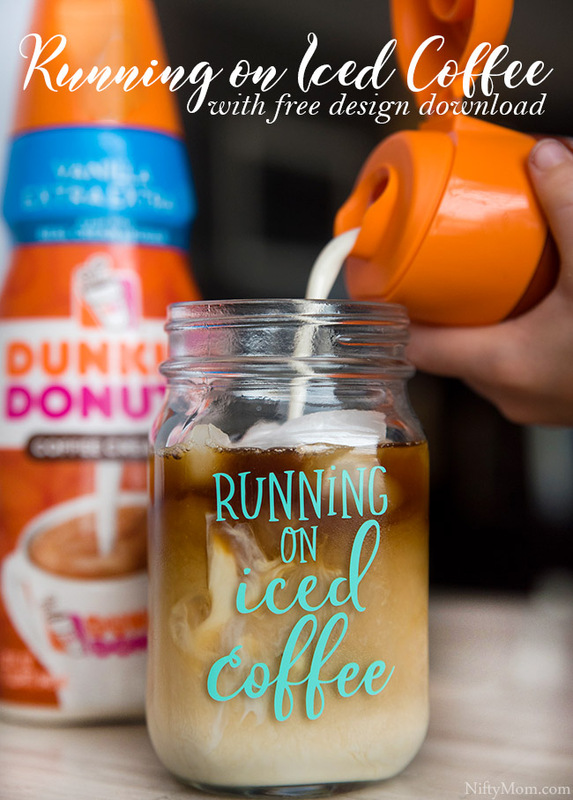 The saying for the design I came up with is very fitting: Running on iced coffee. I feel like I do just that. 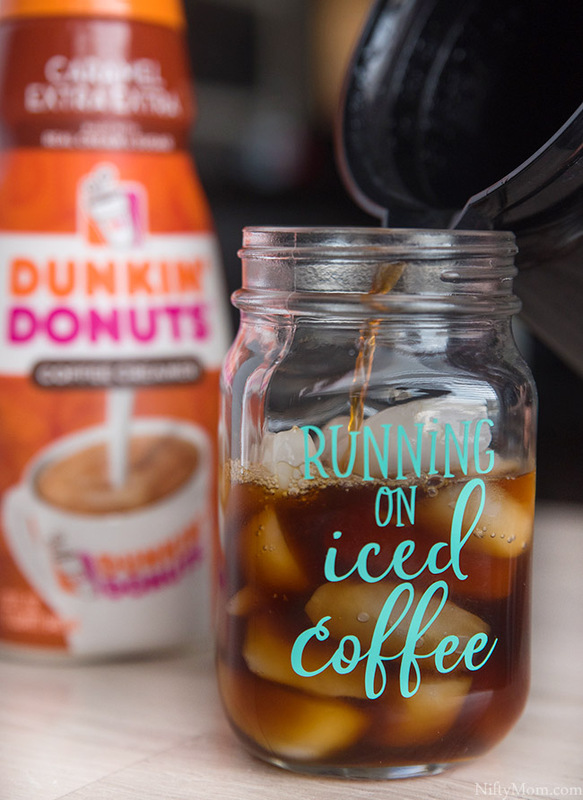 After my morning coffee(s) wear off, iced coffee is always on hand, especially made with Dunkin’ Donuts Cold Brew packets. It is a great pairing for Extra Extra creamers. 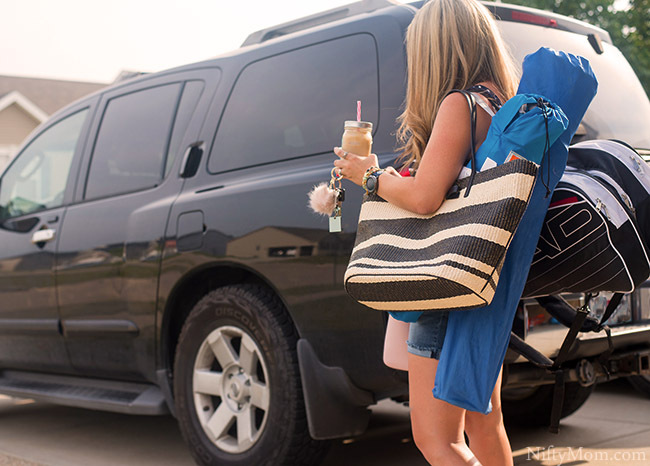 When I head out to sit at the ball field or tennis court followed by errands and classes and have my hands full, I always have room for that creamy iced coffee. These summer days are definitely the busiest, but we are having a blast and I can’t wait to see what lies ahead.